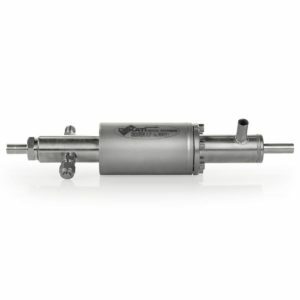 The Dekati® Cyclone is an all stainless-steel cyclone that is used as a part of a sampling system for removing large particles from an aerosol sample stream before the sample enters the measurement instrument. Manufactured according to EPA standard 201A, with standard isokinetic nozzles available as accessories, the Dekati® Cyclone is a highly durable addition to any sampling line where removal of large particles is needed. Dekati® Cyclone is manufactured according to EPA standard 201A and provided with a calculation sheet to calculate the cyclone cut-point in different operating conditions. 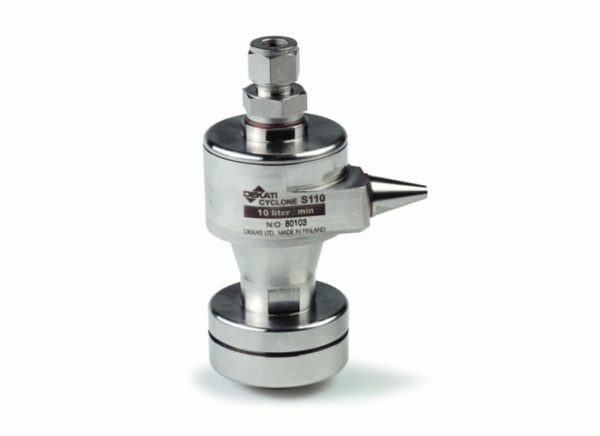 The Dekati® Cyclone is available with accessories for in-stack & out-stack measurements, and with inlet nozzles for isokinetic sampling.